WA Winemaker Brian Fletcher LOVES finding the perfect match with food and wine. He’s shared one of his favourite recipes with us – BBQ Butterflied Lamb – perfectly paired with his Margaret River Shiraz, of course! In Brian’s own words….. 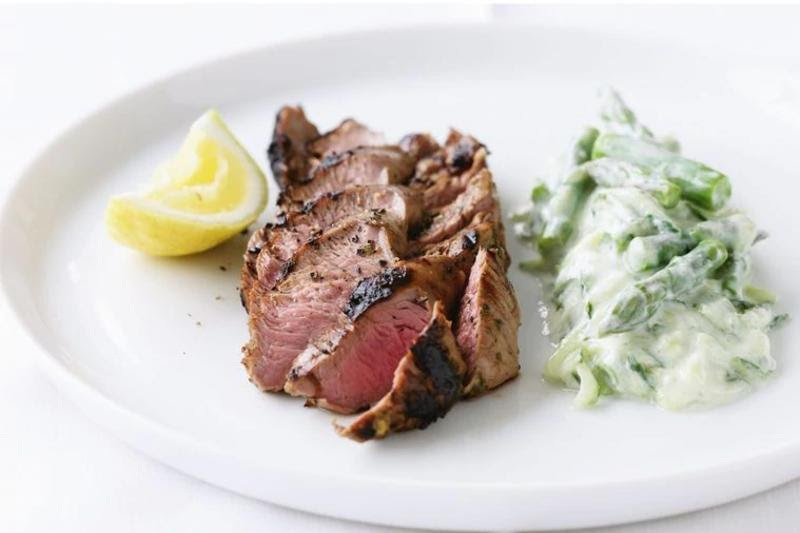 This barbecued butterflied leg of lamb with lemon, garlic and thyme is on my menu tonight…paired with my Brian Fletcher Estate Reserve Margaret River Shiraz 2017. Let me know what you think! 1. Combine all the marinade ingredients with 1 teaspoon of salt and 1/2 teaspoon of coarsely ground black pepper in a shallow roasting pan. Add the butterflied leg of lamb and turn to coat well. Turn the lamb skin-side up, cover with plastic wrap and leave to marinate in the fridge for at least 1 hour. 2. If using a charcoal barbecue, light it about 40 minutes before you want to start cooking. If using a gas barbecue, light it about 10 minutes before you start cooking. A leg of lamb has a good deal of fat, so be careful to avoid too many flare-ups when barbecuing, which could cause the meat to burn. 3. Cook lamb on the hot barbecue grill for 10-12 minutes on each side, turning and moving frequently. Alternatively, barbecue the lamb for 5-7 minutes on each side until well coloured, then transfer to a roasting pan and roast for 20-25 minutes in an oven preheated to 200°C. 4. Transfer the lamb to a board, cover with foil and rest for 5 minutes. Slice the lamb thickly and serve with lemon wedges, steamed green beans, potatoes and some of the meat juices. Join the winemaking revolution and become an Angel today! Our customers, called Angels, support independent, Australian and New Zealand winemakers in exchange high quality and affordable wine.